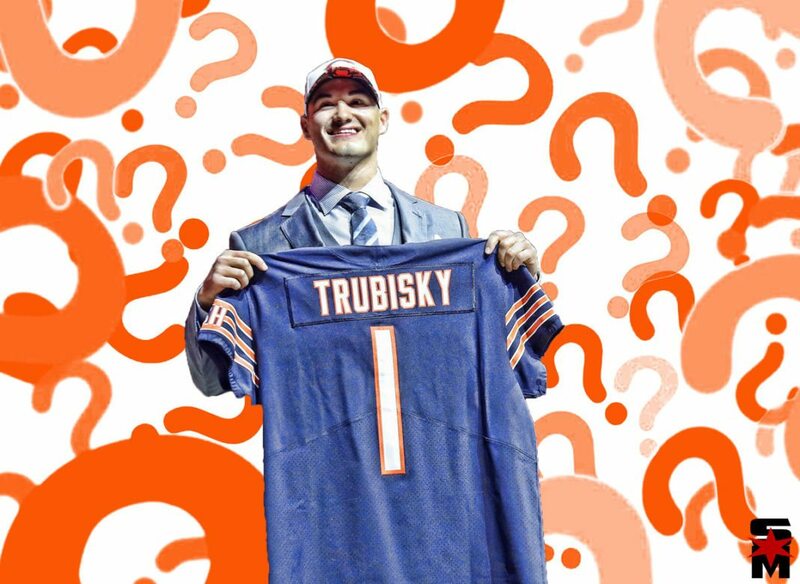 It’s amazing how prevalent the Mitch Trubisky draft day trade is. Here we are almost two years later and people are still talking about it. Not just talking but arguing and having social media fist fights over it. It continues to get more discussions than even the Khalil Mack trade which took place far more recently last September. That is the power quarterbacks can have over a franchise. So what exactly has people enthralled over this? It comes down to a couple of factors. 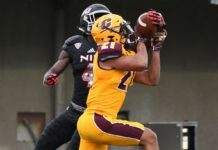 First being what the Bears gave up in the trade to secure the necessary pick and whether said pick was used on the right person. Make no mistake. Both sides of the fence have solid ground to stand on. That’s why the debates are ongoing. Maybe that’s why this is a good time to revisit it again. Enough time has passed to where a picture has started to take shape about where the results of the trade are headed for all parties involved, for better or worse. 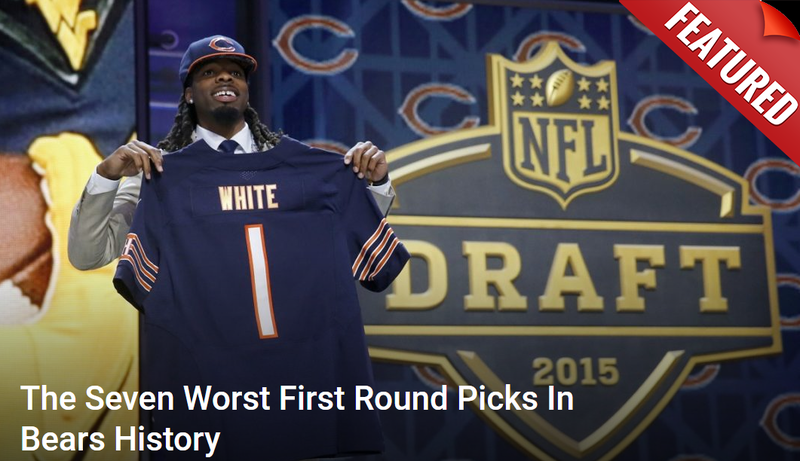 Did the Bears truly mess up or have they since been vindicated? In an era where fans are locked into the draft like never before, they tend to value every single pick as if it’s gold bouillon. That’s why GM Ryan Pace set social media ablaze when he gave up his 3rd and 4th round picks in 2017 and his 3rd round pick in 2018 to the 49ers in exchange for swapping the #3 pick for the #2 pick. It was a puzzling move to many due in large part to the prevailing belief that Trubisky would’ve been available at #3. The picks themselves ended up getting mixed results. Thomas has proven a major disappointment for San Francisco, looking nothing like the stud pass rusher he seemed to be at Stanford, Tedric Thompson hasn’t been much for the Seahawks while Warner has developed into a solid linebacker for the 49ers defense. The big fish that emerged there was Kamara who has become a Pro Bowl weapon for the Saints offense. That’s certainly something people will ruminate over, but given the Bears secured Tarik Cohen in that same draft two days later, it’s likely they’re not losing too much sleep over it. The same can’t be said for the 49ers who actually gave up that pick to New Orleans in a trade that yielded nothing. When it comes right down to it, what matters is results. 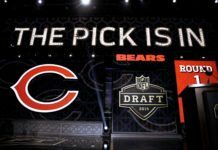 Did the trade benefit the 49ers more or the Bears more? Recent events swing the deal decisively in favor of the Bears. 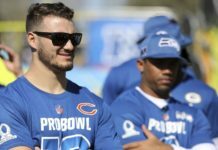 In 14 games this past season, Trubisky threw for 3,224 yards, 24 touchdowns, and 12 interceptions for a 95.4 passer rating. That’s the highest a Bears quarterback has ever hand in a season spanning at least 12 games. He also ran for 421 yards and three TDs. The Bears went 11-3 this past season with him under center and made the playoffs for the first time in eight years. He threw for over 300 yards in the wild card loss to Philadelphia, becoming the first Chicago QB to ever do so. While it wasn’t a total bust, one can say with relative certainty GM John Lynch absolutely did not “fleece” Pace as so many declared on that April evening in 2017. 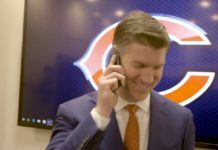 The Bears GM appears to have taken a calculated risk and it has paid off. At least in a limited fashion. With that said, it doesn’t completely absolve him from the pick itself. Nobody will say Trubisky has been a terrible pick. He hasn’t. He’s played well in spurts thus far and shown a lot of upside towards greater improvement. The problem is another young quarterback from that same draft class is taking the league by storm. Somebody the Bears had at their fingertips when they made that trade but passed on in order to grab Trubisky. That was Patrick Mahomes. The buzz was strong for the Texas Tech quarterback that year. His numbers were ridiculous in college, he was athletic and mobile and had one of the best arms seen coming out in years. The big concern with him was whether he’d be able to adjust to more complex NFL offenses. He’d played more of a backyard, pure spread style in college. 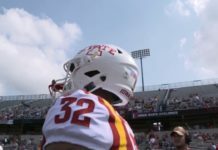 Drafted at #10 overall by the Kansas City Chiefs, he sat most of his rookie year learning behind Alex Smith. 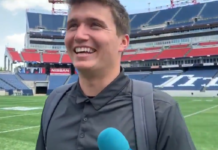 Then in 2018, he was handed the starting job. A few months later he became the third QB in NFL history to throw for 50 touchdown passes and has the Chiefs in their first AFC championship since 1993. So while the trade itself doesn’t look bad for Pace, it certainly looks like he may have targeted the wrong franchise quarterback. Then again, would Mahomes be in this position if he’d had John Fox as his head coach his rookie year and none of the Chiefs’ weapons like Tyreek Hill or Travis Kelce? If nothing else, more time is needed to let this part of the draft decision play out.